Views expressed in Outside Voice are solely those of our guest bloggers and do not necessarily represent those of Intertwine Alliance board, partners or staff. Want to be seen and heard on The Intertwine? Send our Editor your queries and comments. Outside Inbox - Keep me posted! Latino theatre group Milagro recently joined The Alliance, bringing a new bilingual ecodrama and a vibrant environmental arts curriculum to the table as Intertwine Projects. Environmental justice advocates and environmental educators, Dañel wants to collaborate with you! That amazing wildlife mural up on the hill from Oaks Bottom? You know, the great big one? Mike Houck tells its behind-the-scenes story, from improbable beginning to mind-boggling technical execution, and offers the lessons he learned in the process. A family sticks together with The Intertwine. Two sisters share a fascination with critters of The Intertwine. Rivers with fish lure people with poles from all over the world. In 2015, I had the opportunity to serve on Metro’s Nature in Neighborhoods conservation education grant review committee. The grants provide millions of dollars in direct community investments to benefit locally significant projects. 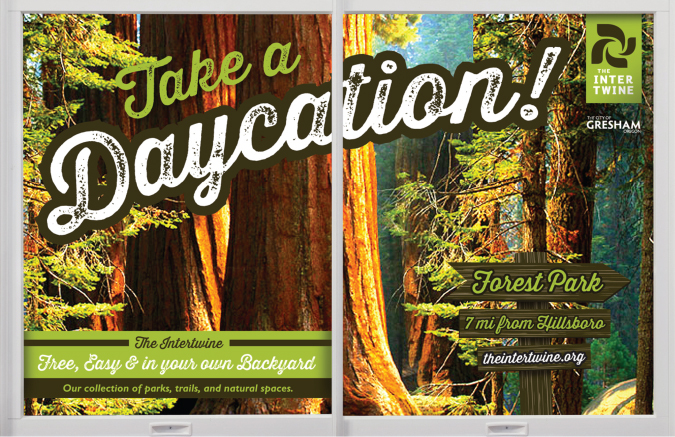 Money for the program comes from the 2006 natural areas bond measure and the 2013 parks and natural areas levy. While serving on the committee, I read a proposal by the Asian Pacific American Network of Oregon (APANO), a statewide non-profit social justice organization that had been developing a strategy around building leadership within the Asian Pacific Island (API) community. One of the initiatives was its ALLY program, a youth-led arm focused on identifying and organizing around issues important to young people and communities of color. They had a strong interest in connecting with nature and working on local environmental justice issues that impact their own communities. Many API immigrant families have seen or experienced high levels of pollution in their home countries or felt the effects of climate change in terms of exacerbating natural disasters. Now with many API families settling in the Portland region, they often live in neighborhoods with incomplete streets, that lack parks and natural spaces, and that expose them to high levels of air toxins and other pollutants. After serving on the committee, I reflected on my work at the time as manager of the Backyard Habitat Certification Program, a partnership between Columbia Land Trust and the Audubon Society of Portland. I had also been a member and volunteer of APANO for a few years. Upon reading about its environmental justice priority, I wondered if the work of Backyard could be of service in creating a more equitable environmental movement in the region. Through my volunteer work with APANO, I had been building relationships with its staff and learning about the organization. Though environmental literacy and urban habitat patches might seem small compared to larger and more significant priorities for the API community, I continued to believe that building environmental literacy amongst our communities and sense of place are critical if we are to conserve and restore wildlife habitat throughout our region. When I proposed a meeting and partnership, I entered those conversations as authentically and honestly as I could, through recognizing how my own privilege had contributed to ways that communities of color had historically been excluded from meaningful and thoughtful participation and leadership in conservation. It is a form white privilege, a quiet but real racism, of which I was only beginning to become aware. That opened the door to a conversation. Ultimately, after 8 months of conversations and planning, we ended up co-creating a proposal with the API community and residents of the Jade District along Southeast 82nd Avenue. 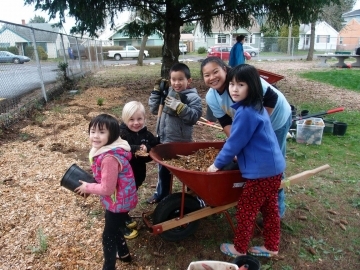 The culmination of the partnership would result in two habitat gardens, one at Harrison Park Community Garden at Harrison Park School and another behind the Jade APANO Multicultural Space (JAMS). APANO staff worked with Backyard to craft messages around conservation addressing their communities' concerns and priorities. 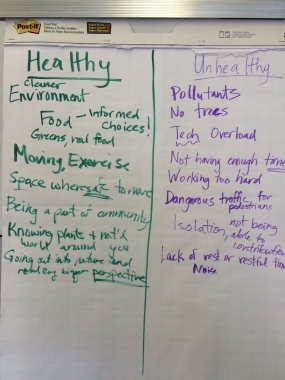 This started with a Saturday workshop in late winter 2016 that included Jade District and APANO members listing off characteristics they would need in a healthy community. The list included food security (pollinator habitat), clean air and water (trees, stormwater management) and climate change. The community then helped design the habitat gardens based on landscape design recommendations provided by Backyard Habitat staff. The culmination of the project was in spring 2016, when community members who designed the gardens at JAMS and Harrison Park School helped with the installations. I share this story as one of many examples of how to start to engage in this work. These collaborations are tools to support an environmental movement that is equitable, diverse and inclusive. There are many existing or emerging partnerships between conservation and community-based organizations. 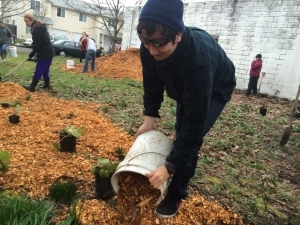 These partnerships include Explorando el Columbia Slough with the Columbia Slough Watershed Council, West Multnomah Soil & Water Conservation District and Verde, and the partnership between Momentum Alliance and the Northwest Youth Corps. The Coalition for Communities of Color has identified that the environmental movement must lead with racial and economic equity, prevent harm, provide benefit, and ensure inclusive and accountable decision making. These aren’t necessarily priorities with conservation organizations, but I do believe that by leaning into the work, thinking differently and not starting with your own agenda, there is a path toward justice for all and toward collaborations that will create transformational impacts. 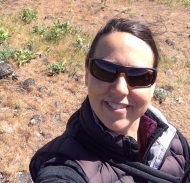 ​Gaylen Beatty was recently hired as Metro’s Parks & Nature Visitor Engagement Manager. 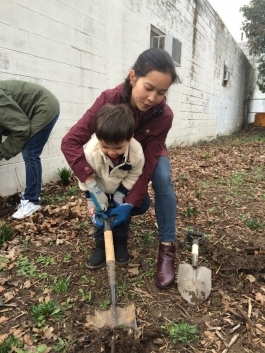 Prior to that, she helped found the Backyard Habitat Certification Program, which engages urban residents to understand how their gardens play an important role in broader conservation efforts. Gaylen has a B.S. in oceanography from Humboldt State University and a Masters in Science Teaching from Portland State University. In 2012, she participated in Center for Diversity & the Environment’s 2042 Leadership Cohort and has since helped facilitate workshops around racial justice. Her loves include family, the beach, snowboarding and urban meadowscaping.